If one were to start around page 18 and move forward, you would see the dates drop clearly out of range by several days at least. It is as if the linked list or pagination technique has gone astray. Around page 30, questions from April of 2015 appear. One should have to traverse several hundred pages (of 50 per page) before depleting April of 2016 alone. Hopefully it is a very localized data problem that can be patched. page 13 of Java. 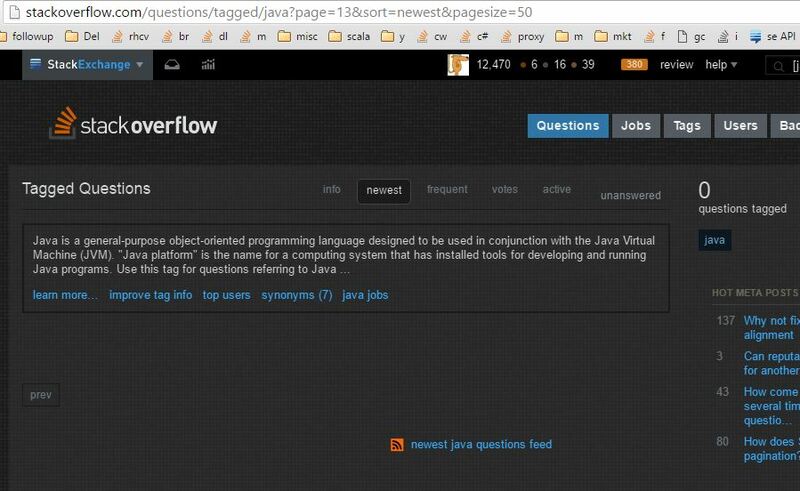 Pagination broken Is there any commentary available from the SO dev team on this? The problem is intermittent. I have pushed a "reload" instruction to the servers, which will hopefully fix this for now, but we are aware that this is an occasional bug. The good news is that we are in the process of completely overhauling the code that drives this, which should resolve a range of stability and performance issues, while also removing a metric ton of tech debt that has accrued in this code. The best thing I can say in the defence of the v1 code is that it grew organically... like mould. The v2 codebase has been lovingly crafted from the ground up with full knowledge of what the eventual requirements and use-cases would be, which makes a big difference! Not the answer you're looking for? 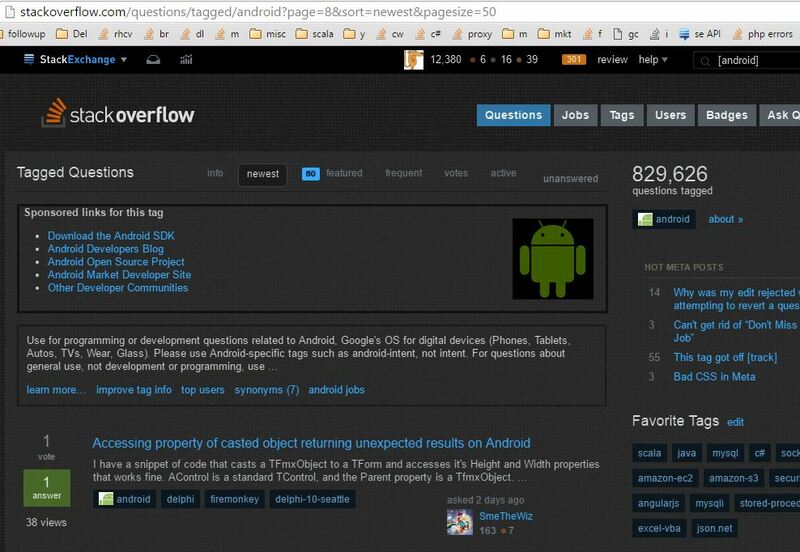 Browse other questions tagged bug tags pagination .